That’s when she realized she was living in the same house Secretariat’s trainer once did. Now, that little piece of horse racing history is for sale. Gregg obtained deeds to the house and found Laurin purchased the home with his wife, Juliette, in 1979, two years after it was built. They sold the home in 1987. Gregg discovered the home when she visited Santee to see the solar eclipse in August 2017. She had recently sold a Florida home she renovated and looked at homes for sale in South Carolina while she was there. Once she realized the significance of the house, she wanted to pay tribute to the man who once lived there. While discovering the impact Laurin and horse racing had on Orangeburg County, Gregg also found Elloree Training Center, 20 minutes Northwest of her home, and Holly Hill Training Center, which is 15 minutes Southeast. Laurin operated Holly Hill, then known as Branchdale Racetrack in the area, and hired locals George “Charlie” Davis Jr. and Eddie Sweat. Davis was raised in the nearby town of Eutawville and went to work for Laurin at Branchdale, going on to become Secretariat’s exercise rider in morning workouts. Davis passed away nearly a year ago from lung cancer complications. He was 78. Sweat grew up in Holly Hill and became the groom for Secretariat while working for Laurin. He died of leukemia in 1998, aged 58. Sweat is buried close to home in the town of Vance, where Secretariat mementos have been left on his grave. 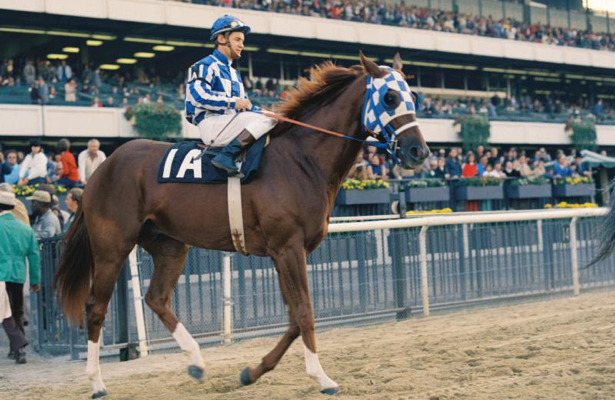 Jockey Chris Antley was only 7 years old when Secretariat won the Triple Crown, and while born in Florida, he also grew up nearby in Elloree. Antley won the 1999 Kentucky Derby and Preakness Stakes aboard Charismatic, and is credited for saving the horse’s life when Charismatic was injured in the Belmont Stakes. The jockey died at age 34 in 2000. Like Laurin’s home, Holly Hill, about an hour from Charleston, is for sale. 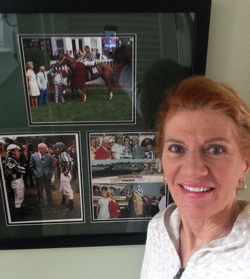 Current owner Jane Dunn trained a number of horses for clients such as Claiborne Farm and Pin Oak Stud there. She purchased the property in 1993 while it was sitting empty. Champions such as Breeders’ Cup Classic winner Blame and two-time Breeders’ Cup Ladies’ Classic winner Royal Delta passed through Dunn’s care at Holly Hill. Blame now stands at Claiborne Farm, which also sent stallions Arch and Pulpit through Holly Hill. Pin Oak’s Alternation was another resident at the training center. Dunn, now 72, retired last year. She hopes the future owner will use the Holly Hill facility the way she and Laurin did. She knew Laurin as an acquaintance when she worked on the racetrack and remembers him as a successful trainer. “I think when you go in there, you realize you’re sort of walking on hallowed ground,” Dunn said. “If you put your nose to the grind and work hard you can be as successful as they were, as he was there. I think he used it for what it was meant to be used for. He had an awful lot of young horses there. He rehabbed older horses there. He didn’t try to make it something it wasn’t and I just try to keep that same tradition. Dunn also used Holly Hill to train young horses and rehab older ones. She took advantage of the land, which is about 118 acres, to turn horses out and let them grow. Gregg was told previous owners of the house found a painting of Secretariat in the attic, but she found no memorabilia for herself. Instead, she created her own. Laurin died in 2000 when he was 88. The home owner prior to Gregg put in new windows and flooring after the house went into disrepair and foreclosure, but Gregg finished off many of the renovations. Laurin added a pool onto the house while he lived there, and Gregg converted it to saltwater and heated it. The pool overlooks the fifth hole of the Santee Cooper Country Club golf course, while the front of the house is across the street from a cove of Lake Marion, the largest lake in South Carolina.